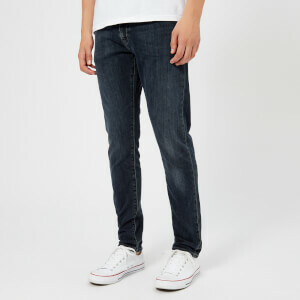 Levi's ‘511’ dark blue jeans with a slim but not skin tight, tapered leg. 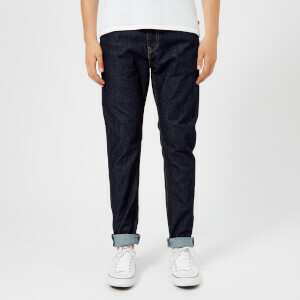 Crafted from woven stretch denim, the five-pocket jeans are dark blue with a subtle faded wash and whiskering to the thighs. 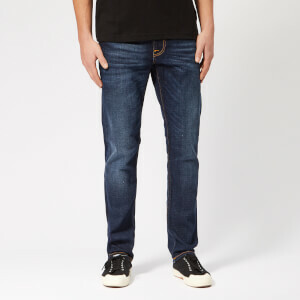 Fastened with a top button and zip fly, the jeans are detailed with contrast coloured topstitching and signature stitched Levi's arcuates on the rear pockets. 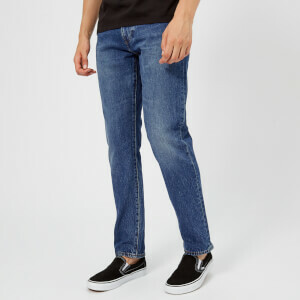 Complete with the classic ‘Two Horse Pull’ leather patch on the rear waistband, exposed metal rivets and the iconic red Levi's brand tab on the rear pocket.